I have been in the pizza business since I was 18, working off and on, in delivery as well as hand tossing them. During one point, I sold them as frozen, helping to develop the Sales and Delivery of the product. My son can critic a pizza telling you the sauce, sausage, and cheese that is used, due to this stint in selling frozen pizza. I love a good pizza and at one point, consumed pizza daily, some days multiple times! THE BREAKFAST OF CHAMPIONS! 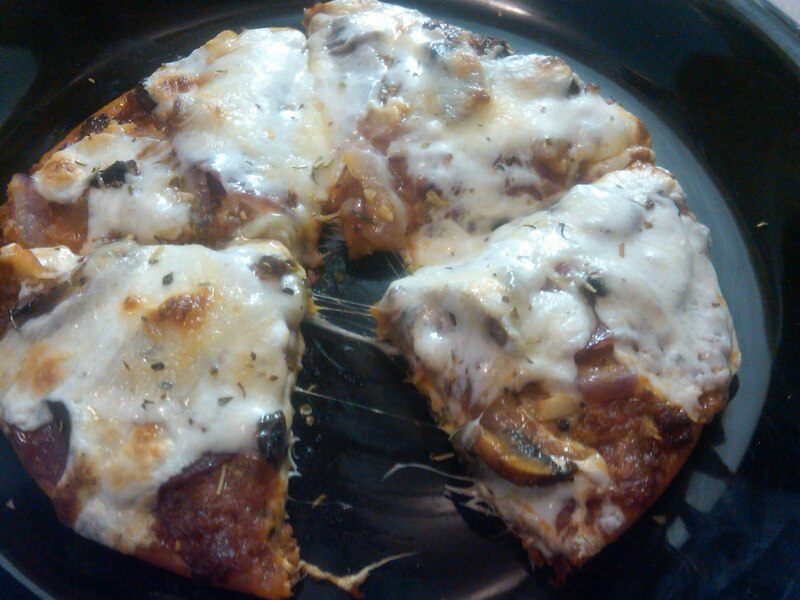 This pizza that I made was on a 5-6" flat bread but could be made on any number of pizza crust. There are many options of pre-made crust or you could make your own fresh crust. 1 piece Flat bread, 5-6"
1. Gather ingredients, slice mushroom caps, slice onion, chop garlic and grate fresh Parmesan and set all four ingredients to the side. 2. Preheat oven to 400 F, coat pan of choice with non-stick spray. 3. 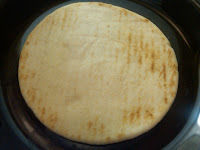 Place Kangaroo Flat Bread on a plate for prep service. 4. Paint the flat bread with Bella San Luci Sun Dried Tomato Pesto Sauce. 5. Lightly sprinkle with Tuscan Seasoning Mix and Freshly Shredded Parmesan Cheese. 6. 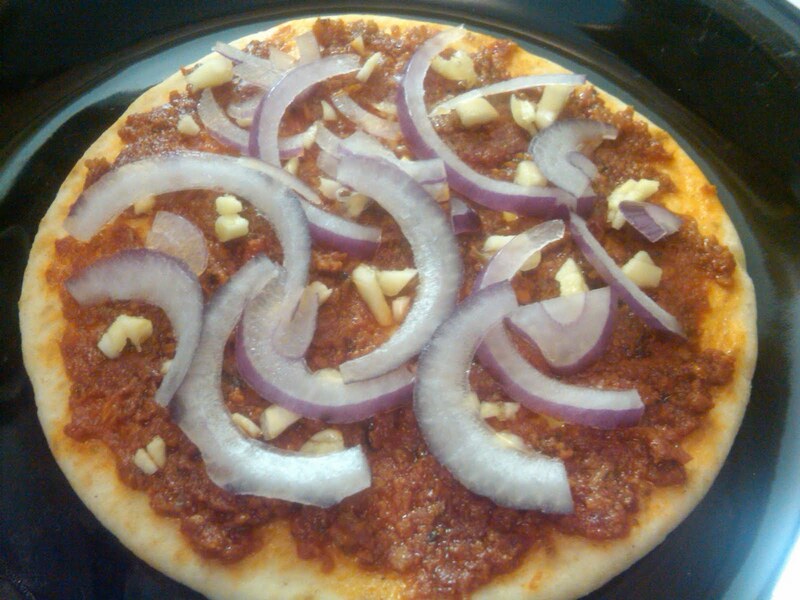 Spread sliced onion onto the crust. 7. 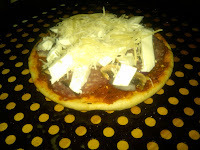 Place 3 thinly sliced Italian Dried Salami's on the crust. 8. 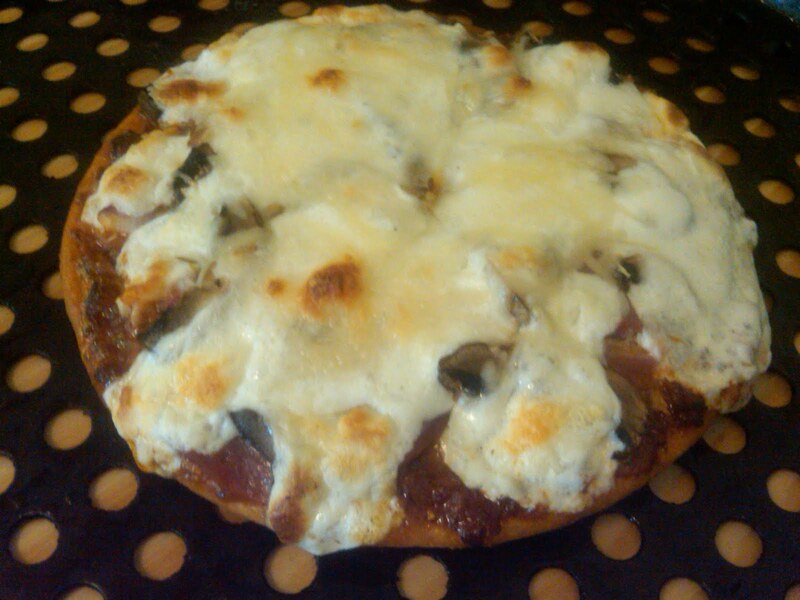 Place sliced Mushroom caps on crust. 9. 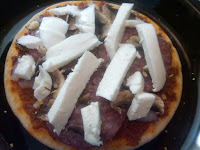 Slice Hand Stretched Fresh Mozzarella, cut into strips, about or under 1/4"x1/4". 10. 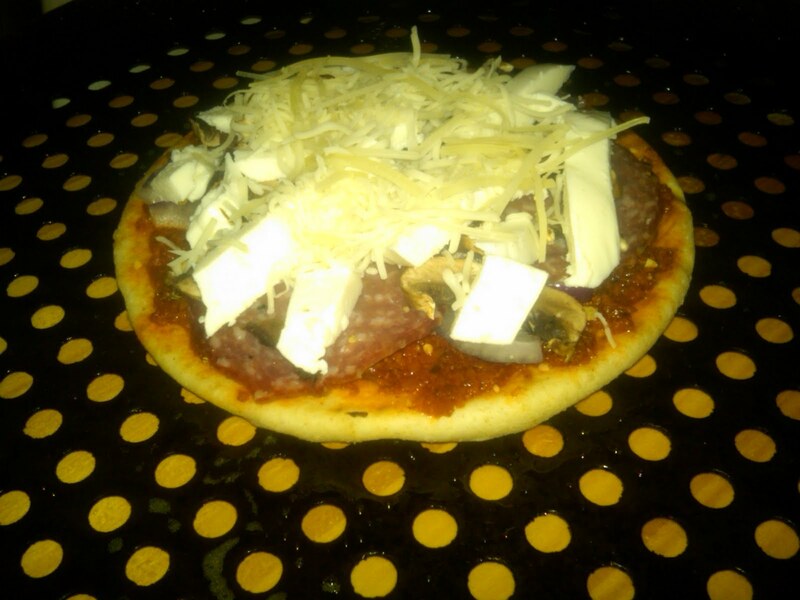 Place on pizza, evenly spaced. 11. Lightly sprinkle with Italian Blend Cheese. 11. Bake at 400 F for 12-14 minutes. Sprinkle lightly with Fresh Grated Parmesan Cheese and slice into 4 slices.